If there is something I have enjoyed from living on my own, it is the sound of silence. No, I am not referring to the song by Simon and Garfunkel, though I do enjoy it too. Instead, I have relished the fact I am the only person to make noise within my four walls. It is not like my parents or my sister have been really loud or anything, but something about a house being a place of rest in silence is something I appreciate. In addition, if I ever want to make noise myself, I do not feel bad making sounds as it does not bother anyone else, besides for maybe my neighbors. To be fair, I often sing or make random noises while gaming or just using my computer, so it is possible I was the actual noisy one in my house, haha. On the other hand, the quietude also makes me paranoid when I hear other noises, especially in the middle of the night. All in all, I really enjoy the stillness of living on my own. When it comes to computing, I think it is safe to say there are many people who want the same. Whether it is a desktop or laptop, unintended noise emissions is one of the least desirable things from a system. Today, we have another product to make for a quieter system, which is the Seasonic PRIME 600 Titanium Fanless 600W. This fanless power bringer is supposed to keep your modern system up with extreme efficiency while making no noise. Let us see what that looks like in today's report! Today's unit of the Seasonic PRIME 600 Titanium Fanless 600W arrived to our APH Networks location in Calgary from Seasonic's offices in Azusa, California. This is yet another small suburb city of Los Angeles and is located just south of Angeles National Park. Otherwise, this package arrived via FedEx and their international ground service. Thankfully, everything arrived in excellent condition without any real damage to the box to be concerned about. 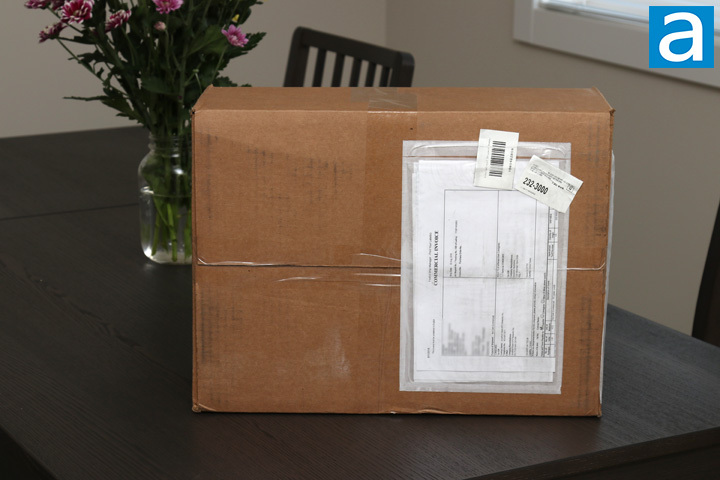 Inside, Seasonic has packaged this box with lots of cushioning to prevent any damage to the retail container inside. 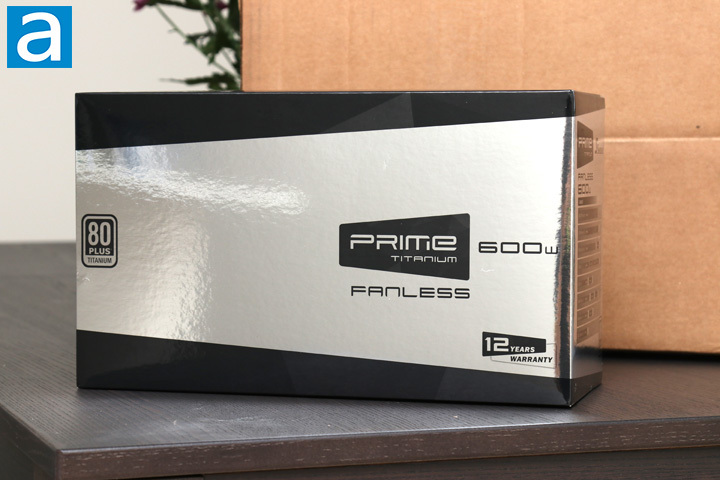 Much like other Seasonic power supplies we have seen, such as the PRIME Ultra Titanium 850W, we have a similar box with a mirrored finish on the front. This is specific to Seasonic's PRIME and PRIME Ultra Titanium series of power supplies. I think the mirrored finish looks really nice, though it makes taking photos of it without getting myself in the photo a bit tricky. As you can see, the one difference of this box is the "Fanless" denotation on the front. Along the sides of the box are some specifications about the unit and the included cables. The front also shows off one nice thing, which is the included twelve years of warranty with the Seasonic PRIME 600 Titanium Fanless. 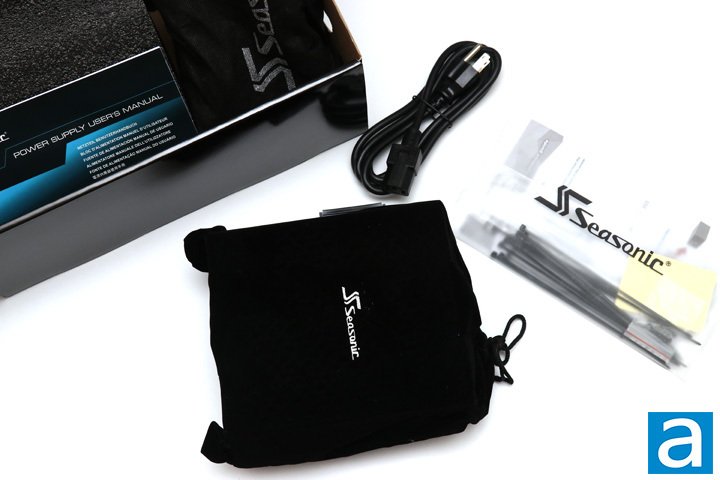 The Seasonic PRIME 600 Titanium Fanless 600W's retail packaging can be opened by a flap attached on the right. Just like we have seen from other PRIME units, Seasonic provides cases or bags for everything. The power supply is in a drawstring suede bag, the cables are bundled in a nylon bag, and everything else is held in a resealable translucent plastic bag. All in all, the contents of this box include the PRIME 600 Titanium Fanless power supply, modular cables, AC power cable, power supply jump starter, Velcro straps, zip ties, four screws, case badge, sticker, and a manual. The power supply jump starter or tester is not something we typically see, but considering this is one of their top of the line picks, I am not too surprised. I really admire the way Seasonic packages their units into a premium experience, but let us take a closer look at the power supply in question.